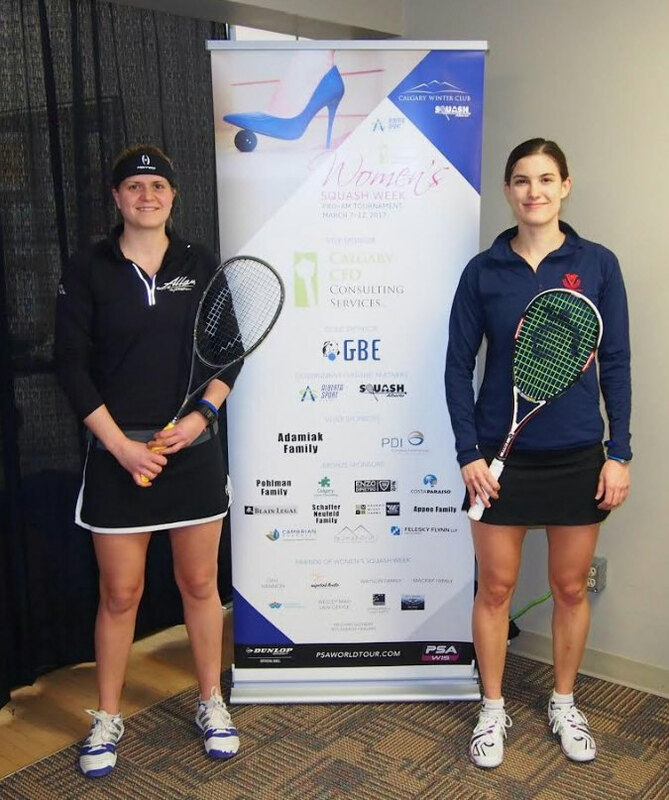 Sam Cornett’s overall performance this week has been exceptional, and it carried right into the Final against Danielle Letourneau. Defeating Danielle in straight games, Sam was strong and consistent the whole way through. She came into the match confident and focused, making minimal errors and controlling the rallies. Although Danielle was struggling to find her groove in the first two games, she did manage to fight back hard in the third. Unfortunately, it was just a little too late to turn things around. Based on all of the intense matches played this week, getting to the finals has been no easy feat. Both Sam and Danielle should be very proud of how far they’ve come. We’re looking forward to watching them continue to rise in the world rankings. Thanks so much to all of the sponsors, billets, volunteers and refs. You all make this week a huge success. Your time, commitment and support are truly appreciated. Thanks to all of the professional and amateur players who entered this event. We hope to see you all back again next year! Sam Cornett and Fiona Moverley played really long rallies in their semifinal match. It was a battle of fitness and it was only a matter of time that one would out do the other. Sam went for more winners and played a more aggressive game whereas Fiona played more consistently and made minimal errors throughout the match. Alternating game wins, Sam finally took the match 3-2 when she started pulling out her lethal cross courts, both in the front and back of the court. These eventually tired Fiona out to the point of no return. “I was proud of myself..because I was pretty tired as well. I told myself to just keep trying to execute and I managed to just barely do it. 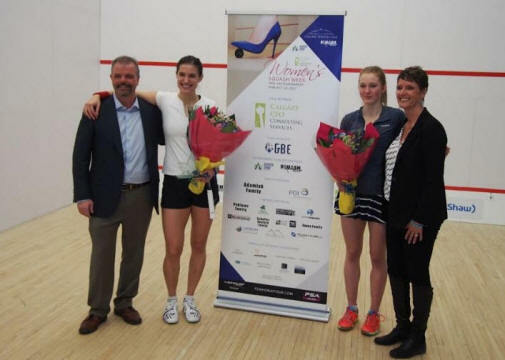 In the second semi-final Danielle Letourneau had a monumental win against Rachael Grinham. The crowd really got into this one, with Danielle’s local support and the fan base that Rachael has developed throughout her three appearances in this event to date. Danielle managed to keep the pressure on by getting to everything and hitting really tight drop shots, ones that even Rachael couldn’t retrieve. “Well, I go into every match thinking I can win, I mean you kind of have to otherwise you’ve already lost. “Rachael’s really tough. I had to really warm up. I think I spent 50 minutes warming up because I knew I was going to be jerked in all different directions…I think I got taxied a million times that match!” Even in those moments of deception, Danielle still managed to quickly get to the ball and attack it back, which seemed to throw Rachael off her game. Sam and Danielle have played a few times this year and the matches have been pretty close so far. The final match on Sunday could easily go both ways, especially after both of their performances so far this week. First match of the night was a bit of an upset. Unfortunately our top seed Jenny Duncalf, had to withdraw in the second game against Sam Cornett. Sam will move on to the semi-final round against Fiona Moverley. We’re wishing Jenny a quick recovery, and hope to see her back again next year! Fiona Moverley had a solid 3-0 win against Nikki Todd this round (11-6, 11-3, 11-7). She’s been playing a steady game so far which will put her in a good position for tomorrow’s match against Sam. It should be a good one! 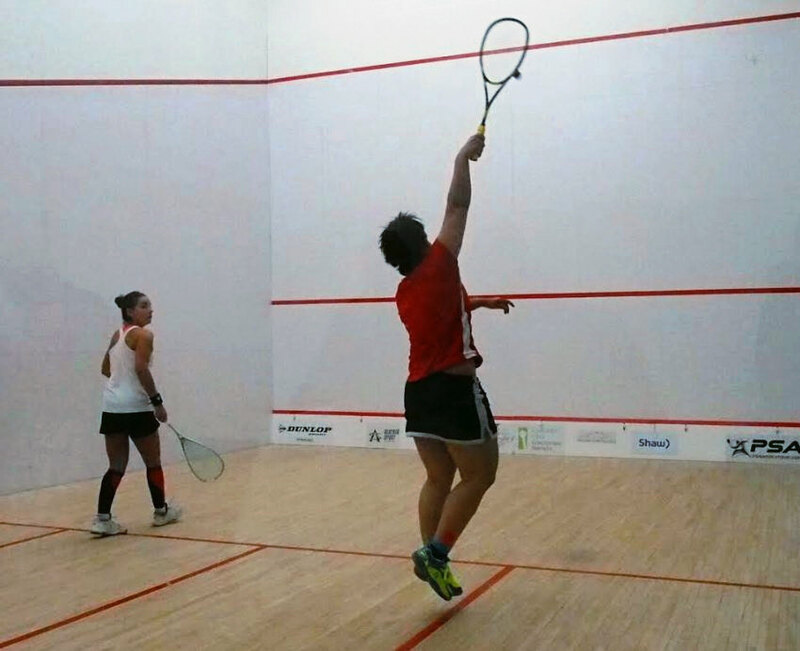 Danielle Letourneau had a fantastic win against Tong Tsz Wing. She took it 3-1 (10-12, 12-10, 11-4, 8-11). You could tell she was focused and determined to win and she managed to pull it off graciously, with fire to spare for her big match tomorrow against Rachael Grinham. They had played each other in this event back in 2015, when Danielle was the wildcard. Danielle has become such a strong and skilled player since then, so we’re eager to see how she does against Rachael this round! Good luck Danielle! Rachael Grinham put on another good show for us against Nada Abbas tonight. Nada can definitely hold her own in a match, which is truly unbelievable given her young age… but with a tad more experience and complex shots up her sleeve, Rachael took the match fairly effortlessly. 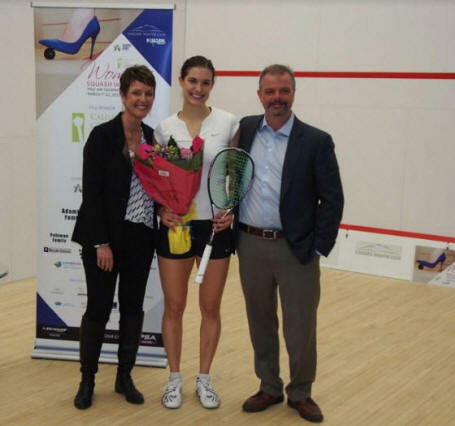 She won 3-0 (11-8, 11-8, 11-5). It was a full day of squash, and a great turnout of spectators who came to show their support for the athletes and love for the game. Seven of the eight seeded players won through to the quarter finals, along with Sam Cornett who beat out the 6th seed Sivasangari Subramanian in the second match of the day (8-11, 11-8, 11-7, 11-8). Well done Sam, and good luck in the next round! With literally the luck of the draw, Maria Toorpakai Wazir played the last match of Wednesday evening and the first match Thursday, giving her very little recovery time before playing top seed Jenny Duncalf . That said, Jenny had the advantage and was well positioned to play to Maria’s weaknesses (Not to mention she’s just really, really good!) She put the pressure on, cleared well and owned the T the whole match. Jenny’s overall movement and finesse is astounding. 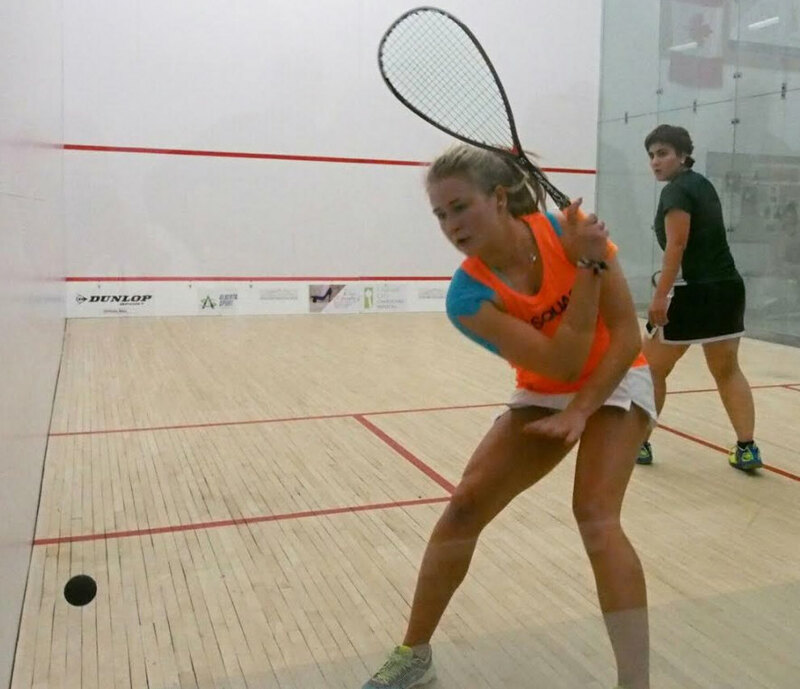 Nikki Todd had a solid win against Emilia Soini 3-1 (11-4, 10-12, 11-9, 11-6). Although their style of play was quite similar in this match, Emilia was making a few too many errors from the back forehand corner. 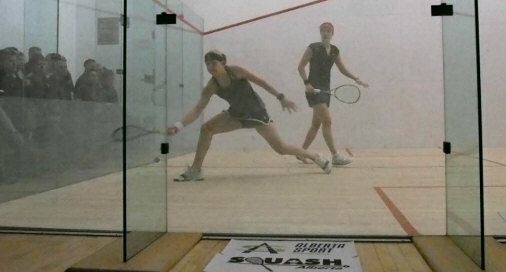 Fiona Moverley (ENG) dominated the match against wildcard Nicole Bunyan (CAN). Fiona seemed to be attacking more which put Nicole in a reactive position. 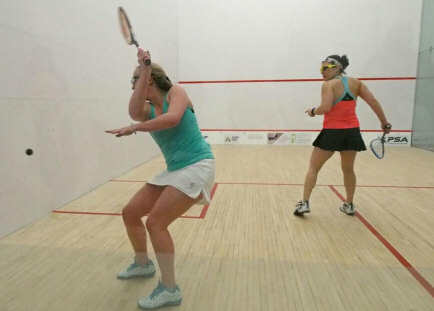 Fiona won 3-0 (11-2,11-6,11-7). 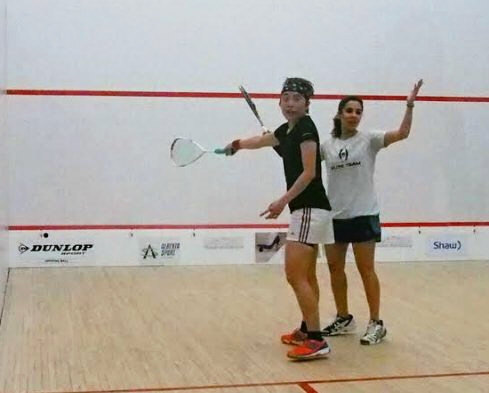 It was an intense and fairly heated match against Tong Tsz-Wing and Nouran El Torky. A lot of lets were made for interference by both parties and quite a few no lets as well. Nouran demonstrated her frustrations for not being able to gain access to the ball, and Tong had to endure a lot of strokes for her shots being kicked out into the center of the court. The match went to 5, Tong ended up taking the win 3/2 (9-11, 11-3, 9-11, 11-4, 11-7). 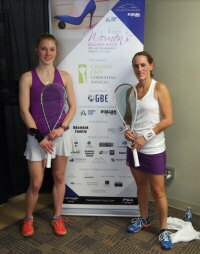 Danielle Letourneau had a good win against Sachika Ingale 3-1 (11-5,11-7,7-11,11-3). Danielle was better positioned to quickly retrieve and attack her shots. It was a good hussle between Nada Abbas and Chloe Mesic. They were both really quick off the T and focused, each aiming for precision. However, Nada still managed to dominate the match with more deceptive shots, taking the win 3-0 (11-4, 11-8, 13-11). Rachael Arnold put up a good fight in her match against 2nd seed Rachael Grinham. She kept the pressure on the whole way through, forcing Rachael Grinham to reach more. Since she’s pretty much able to retrieve any shot, Rachael G did run out of steam a bit in the 4th game causing her to make a few more unforced errors. 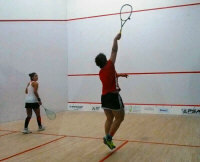 She still took the match 4-1 (11-6, 11-4, 6-11, 11-5) and advances through to play her next round against Nada Abbas. We’re looking forward to another great performance by this incredible player! 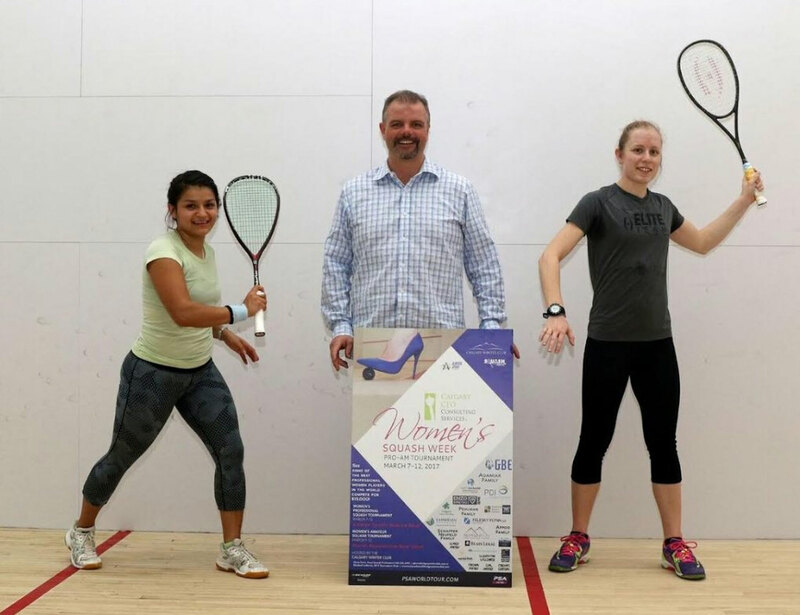 Wednesday’s events at Women’s Squash Week were a fantastic way to celebrate International Women’s Day!! The first match of qualification finals, Chloe Mesic came out stronger against Giselle Delgado, winning 3-0 (11-7, 11-4, 11-7). Chloe will play Nada Abbas on Thursday in the first round of the main event. Next up was Sachika Ingale’s win against Bethany Churchill, 3-1 (11-1, 11-5, 10-12, 11-6). Bethany managed to steal the third game by putting a bit more pressure on and hitting some solid winners. Good run Bethany!! Sachika advances to play Danielle Letourneau. In the third match, Emilia Soini beat Reyna Pacheco 3-0 (11-3, 11-3, 11-5). Emilia was quick to the ball and her shots were precise. We’re excited to see how she holds up in the next round against Nikki Todd. Towards the very end of the third game, Maria had to take a three minute time out to tend to an injury. She came back and pulled it off though, taking the win 3-0 (11-6, 11-9, 16-14). 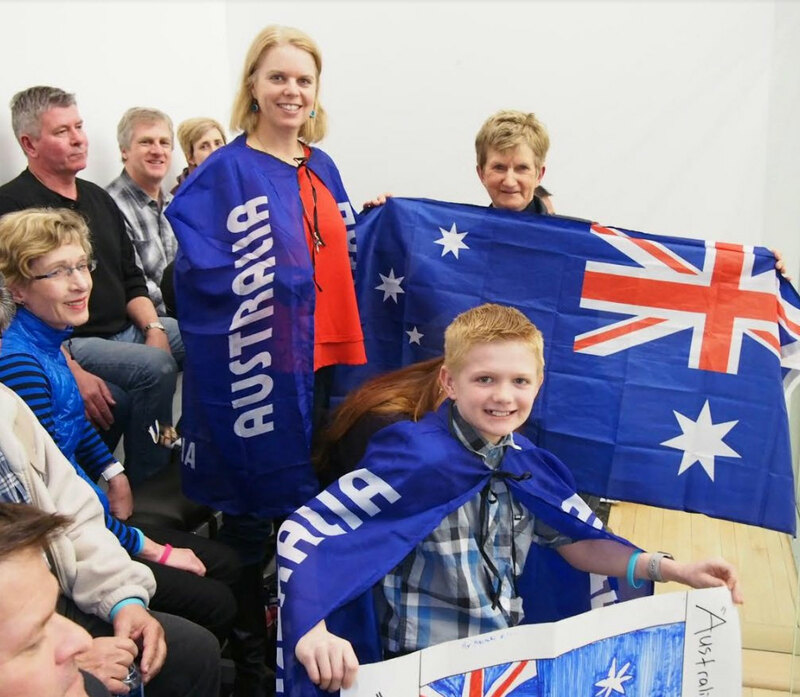 If Alison had won the third game, the match could have easily gone the other way. There were many lets played, and quite a few tumbles, as they struggled to get around each other, but the rallies were incredible and a good indication of what’s coming up as we head into the main draw matches. Good luck to Maria in Thursday’s round as she advances to play the top seed Jenny Duncalf! 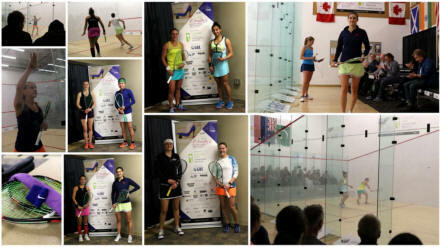 After a great night of squash, the Sponsor-Player meet and greet was also a huge hit. Many thanks to Janice and Andrew for hosting it again this year and of course to all of those involved in putting together all of the delicious food! 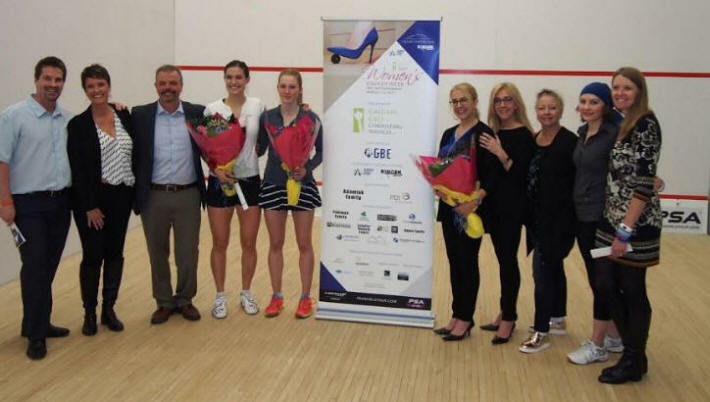 We had a great start to our 4th annual Calgary CFO Consulting Services Women’s Squash Week! Thanks to all of the sponsors and spectators who came out to watch the first round of qualifying, it was a very nice atmosphere to kick off the week’s events! We had two of our local qualifiers kick start the evening. 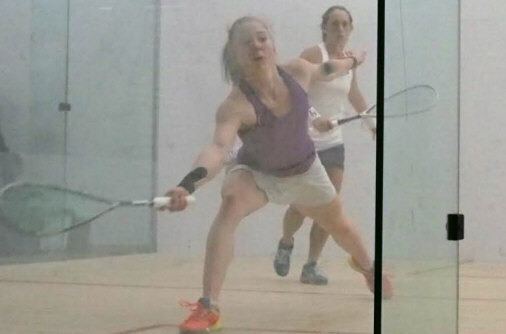 Bethany Churchill came out very strong against Emma MacGillivray, winning 3-0 (11-0, 11-4, 11-6). Her shots were on point, especially her short game, which gave Emma very little to work with. There were a few tight cross courts this match, one leaving Emma with an impressive ball imprint on her leg that she’ll be able to show off for the next few weeks I’m sure. We wish Bethany good luck in the next round of qualifications! Jaime Laird had a high intensity match against Giselle Delgado. They kept each other on their toes the whole game, scrambling to get every shot. Giselle Delgado took the win 3-1 (11-7, 8-11, 13-11 12-10), but it definitely wasn’t an easy defeat. Jaime was quick across the court and she read her opponent well. Jackie Moss and Emilia Soini also had a pretty even match. 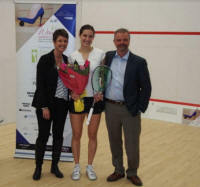 But Emilia stayed strong and quick the whole way through, winning 3-1 (7-11, 12-10, 11-8, 11-9). Erin Roberts had a tough match against Maria Toorpakai Wazir. Maria’s really good at holding her shots, and with her racket always down low, making it tricky to read where the ball is going to go next. She won 3-0 (11-4, 11-3, 11-3). We’re looking forward to watching Maria play in Round 2! The international qualifiers came out just a bit stronger this round, but it’s always nice to see the locals keeping the pressure on. Although they won’t be advancing into round two, Emma MacGillivray, Jaime Laird, Jackie Moss, and Erin Roberts put up a good fight this round. 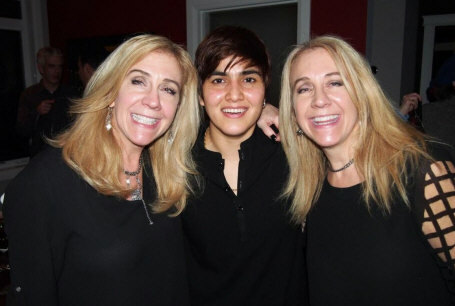 Great squash ladies!!! 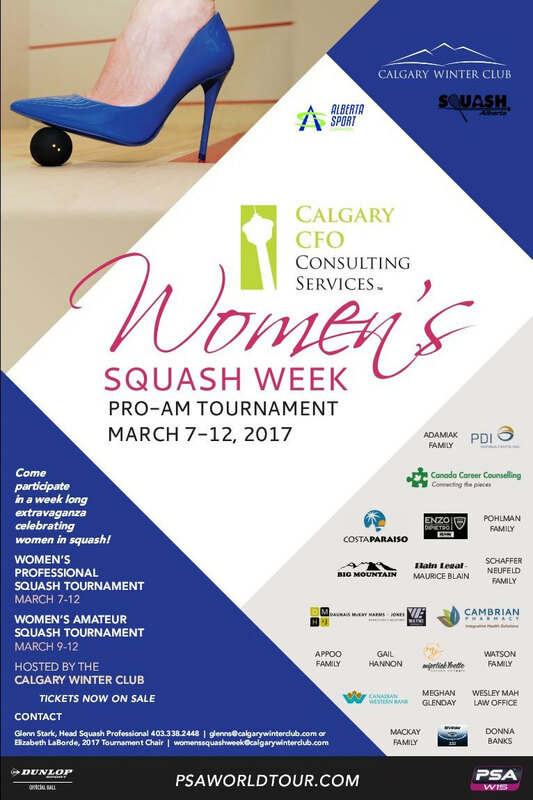 The 2017 Calgary CFO Consulting Services Women’s Squash Week will take place at the Calgary Winter Club March 7-12th, 2017. We’re very happy to welcome back Rachael Grinham to defend her 2014 title. 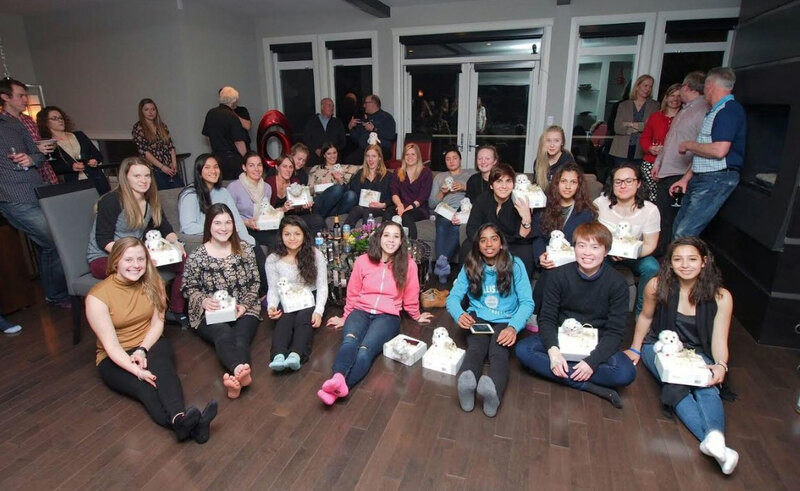 Other tops seeds returning to Calgary include, Fiona Moverly, Tong Tsz-Wing and Rachel Arnold. We’re also super excited to have the top seed Jenny Duncalf join us in Calgary this year. Her brother, local Head Pro at the Glencoe Club, will definitely be around to cheer her on. We have 4 Canadians in the Main Draw this year, Danielle Letourneau, Nikki Todd, Samantha Cornett (her debut to this event…welcome Sam!) and Nicole Bunyan as this year’s Wildcard! Sending out a warm welcome to all of the new and returning players. Hope your stay in Calgary is a great one! We’re looking forward to watching all of you out on court! Main draw matches start Thursday with noon and 12:45pm matches, and 6 matches in the evening from 4:30pm onward. Also running alongside the PSA event is a Women’s Squash Week Amateur Tournament, Thursday through Sunday. So far we have about 50 amateur women signed up to play … and counting! 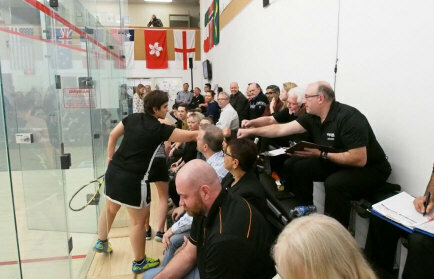 Looks like it’s going to be another great week of Squash!